Regal and resplendent. An oval-cut ruby (1-1/8 ct. t.w.) 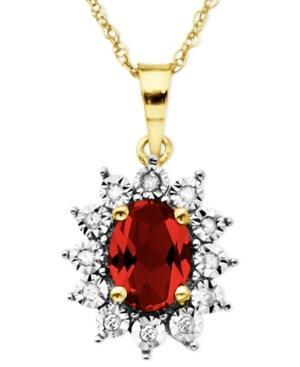 and round-cut diamond accents adorn this royalty-inspired pendant. Crafted in 10k gold. Approximate length: 18 inches. Approximate drop: 5/8 inch.